Converts unsettled by call for execution of those who leave Islam. CAIRO, Egypt (Morning Star News) – A Moroccan fatwa calling for the execution of those who leave Islam has left many Christian converts in turmoil. There is still much debate over how the fatwa, which only recently came to light after the government’s top authority on Islam issued it last year, could change laws in Morocco. But a Moroccan Christian convert active in the house church movement said many former Muslims who are now Christians fear for their lives. The Marrakech resident, who requested anonymity, said many Moroccan converts feel the same way. The governmental High Council of Ulemas, the highest religious authority in Morocco, issued the ruling last year, but only released it in April upon request of the government’s Delegation for Human Rights of Morocco, according to Arabic-language daily Akhbar al-Youm. The human rights delegation was seeking clarification on the Islamic stance on freedom of religion. But Mahjoub El Hiba, a senior human rights official in the government, denied there was any such request to the Moroccan Press Agency, Morocco’s official government news service. Islamic scholars use the Hadith, also known as the “Sayings and Deeds of the Prophet,” along with the Koran as a basis for determining sharia (Islamic law). Members of the high council are appointed by the Ministry of Religious Endowments and Islamic Affairs, which is led at least in theory by King Mohammed VI. But the high council is essentially an advisory body, has no connection to Morocco’s criminal judicial system and cannot enforce its ruling. Whether the fatwa will have any effect on Moroccan criminal law remains to be seen – there are too many variables, said a representative of Middle East Concern, an advocacy group for persecuted Christians. 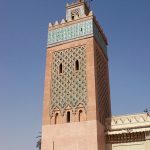 Still, the ruling could represent a major shift within the government – currently apostasy isn’t against the law in Morocco. According to Christian converts in Morocco and some advocacy groups that help them, even if the ruling never becomes law, it sets a dangerous precedent for how converts and Christians in general will be treated in Morocco. If leaving Islam is seen as an act worthy of death, then “proselytizing” – which is illegal – could then be treated as a much more serious issue. Article 220 of the Moroccan Penal Code bans proselytizing, which carries a penalty of between six months and three years in prison and a fine of up to 500 dirhams (US$60). Part of the code forbids using material incentives to persuade someone to change their religion. In addition to a possible crackdown on sharing their faith, Christians fear law enforcement officials who may be uncertain about how to deal with apostates may opt for harsh treatment of converts because of the fatwa. Christian converts in Morocco say police already harass them. A Christian of European nationality who went into Morocco for more than 10 years to help converts before the government banned him said the fatwa sets a tone for more persecution. He added that he thinks the fatwa will be used to discourage converts from being able to express their faith to others. “For those who are already Christian, it can increase their burden, but it will really put the threat on any type of outreach and evangelism,” he said. Apostasy in Morocco is complicated by the fact that Islam is the official religion of the state, and the king of Morocco, whose titles include, “The Defender of the Faithful,” is seen as the leader of Muslims in Morocco. With politics and religion thus essentially united, spiritual quests can be seen as an act of political dissent or even treason. Experts say it is difficult to make across-the-board generalizations about how converts are treated in Morocco. The way they are treated depends on factors such as age, economic standing, whether they live in rural or urban areas and, most importantly, how outspoken they are about their faith. According to the MEC expert, older Christians who are economically secure, live in a large city and are mostly private about their faith will be persecuted less than other converts. The representative said persecution comes in many different forms, much of it harassment from family members humiliated that someone in their family became a Christian. The European expatriate, a pastor, said almost all converts experience some sort of harassment by police as well. It is known as a second baptism of sorts for new Christians. The purpose of interrogation is to intimidate Christians into abandoning their new-found faith, the pastor said. In some cases, police have been successful. There have been several public instances of harassment and persecution of converts that have gone beyond police interrogation. On Dec. 28, 2005, Christian convert Jamaa Ait Bakrim was sentenced to 15 years in prison for proselytism and for destroying the goods of others by burning two abandoned telephone poles touching his property. He remains in Kenitra Prison. In March 2010, the government expelled at least 33 Christian foreign residents from the country. Among them were 10 adult Christians, along with their children, who were running The Village of Hope, a foster daycare center for orphans. The foster children were turned over to the care of people they did not know. In addition to the expulsions, roughly 81 people were declared “persona non grata” for alleged proselytizing. None have returned. As recently as February, one of those blacklisted tried to gain reentry but was detained and then deported. There are about 8,000 Moroccan Christians out of a population of almost 35 million people, according to the 2012 International Religious Freedom Report published by the U.S. Department of State. 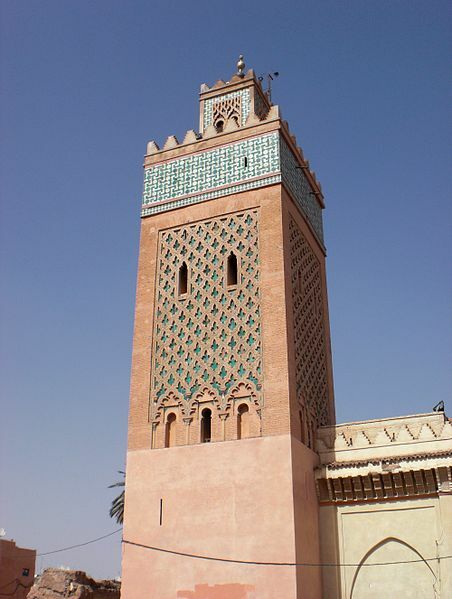 Morocco has taken pains to maintain its image as a moderate Islamic country. 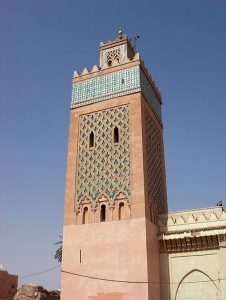 Any deviation from that image could cost Morocco in foreign trade, tourism revenue and international prestige, but observers believe the laws against proselytizing and the recent fatwa threaten the country’s reputation as religiously moderate. The expatriate pastor sees the fatwa as part of the region’s tide toward “political Islam” and a bid to silence hardline Islamic critics of the regime. “Arab Spring has become Christian winter,” he said.